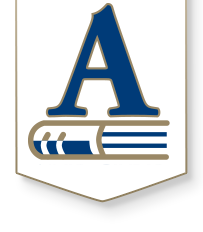 Andover has long been a leader in excellence as it relates to facilities, classroom technology, athletic facilities, and overall property maintenance. In 2019, the current bond payments will be paid in full and at that time, the district will need to make a decision for the future. As detailed in the 2015-16 district goals of Student Achievement and Fiscal Responsibility, we are committed to providing facilities for our students to learn successfully. We have a history of proactive, thorough planning to meet the facility needs of our community. After gathering data on the current facilities’ condition, the board approved to proceed with a comprehensive facilities study. This study will analyze each building, collect demographic data and actively engage the community to develop a new vision for Andover’s facilities and student learning environments. In February 2016, the Board of Education selected Schaefer, Johnson, Cox, Frey (SJCF) architecture firm to partner with Andover and lead this process. The comprehensive facilities study will engage community members to share their vision and priorities for the district facilities. Nine different teams will be created to turn the vision into a plan. The first four teams (one each for elementary, middle, high, and support facilities) are education specific. Team members will be community members, parents, school district staff and administration, and Board of Education members. The education teams will create a conceptual plan of what Andover’s future educational environment should be. Four planning teams will review the education teams’ proposals and develop a detailed plan. The planning and education teams then report to the steering committee, consisting of neighborhood representation, city government officials, parents, business leaders, faculty, administration and Board of Education representation. The steering committee will review finance, demographics, technology, pupil transportation, infrastructure and the community. After processing the information from the planning teams, the steering committee will gather community input and make a recommendation to the Board of Education.